“When you are immersed in music, time goes by and you don’t realise until later that you have been practicing for 10, 12, sometimes 14 hours. Likewise, I never consciously thought about the passing of years. 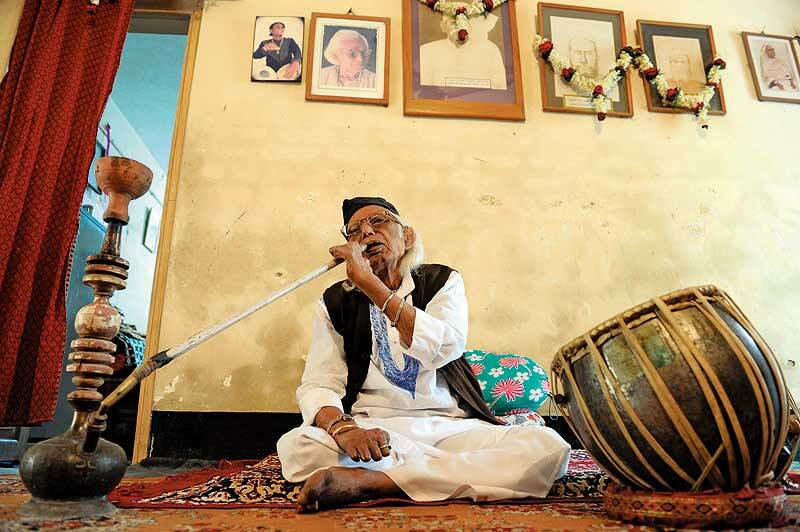 So when it is pointed out to me that I am 105 years old, it doesn’t feel any different than when I was 95 or 85 or 75.” This is Hindustani classical vocalist of the Gwalior gharana, Ustad Abdul Rashid Khan, who won the Padma Bhushan this year and who turns 106 this August. Sitting cross-legged on a carpet on the floor of his house inside the ITC Sangeet Research Academy (he has lived and taught here for nearly three decades), the maestro of Hindustani classical genres like khayal, dhrupad, dhamar and thumri exudes an aura of being at once grounded and detached. “But why did it take so long to recognise his talent? It should have come long ago. We are fortunate that he is 105 and is still with us to receive the honour,” says Prasad Khaparde, a former disciple. But Khansaheb, as he is fondly called, is quite nonchalant. He is aware that the award is a big deal for many but for him “it is a piece of paper that I never missed...but I’m happy they thought of me”. Khansaheb belongs to a generation of musicians who imbibed the traditions of the gurukul, where the disciple sat at the feet of the master and had as much humility knocked into him/her as a sense of the ragas. He remembers that for three months he was only allowed to practise the first three notes—Sa, Re, Ga. He got so bored that one day when he thought his guruji was not listening, he went up to the next note, Ma. “I think guruji was in the next room. He suddenly rushed in and slapped me,” he recalls. His master then made him practise the first three notes for three more months. In Khansaheb’s case, his guruji of course was his father Chhote Yusuf Khan. His formal training began when he was eight with rigorous sessions, the riyaz starting at 7 in the evening and going on till 5 am next morning. But it was not before he was 40 that his father allowed him to perform publicly. Again, it was the tradition of the times. So what does he think of today’s myriad music competitions and talent hunt reality TV shows where even toddlers take part? “It was unthinkable in our time. But I have never questioned changes. I never resisted it.” Perhaps the secret of his eternal youth (Khansaheb can easily pass off for a 60- or 70-year-old) is that he goes with the flow, but still holds his own. “My music is contained within the parameters laid down by generations. For instance, I believe in order for it to be called a raag it has to fit certain definitions. You have to follow certain rules and regulations,” he says. Cogent and articulate, Ustad Abdul Rashid Khan is a devout Muslim. He was reading the namaz when his grandson (Ustadji now lives with his daughter and her son, Bilal Khan, who now accompanies him on the tabla) broke the news of the award to him. “I was so excited that I interrupted him,” says Bilal, “but he told me to wait. It was only after the namaz was over that he asked what the excitement was all about.” Ustadji has already gifted the award and the money to the Sangeet Research Academy. Will he able to travel to Delhi to receive the award? “Of course, I’m looking forward to it. I travel a lot for performances across the country.” He occasionally uses the wheelchair, say, at airports to go from level to level. His wife, who was many years younger than him, passed away almost 30 years ago. Now it is Bilal who accompanies him on his travels as he is still quite active on the music circuit. Has he thought of retirement? “No. As long as I can sing and there are people to accompany me on the tanpura and tabla, nothing else matters,” says Khansaheb.